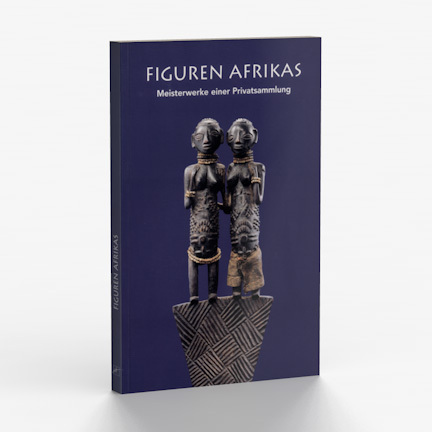 The Internationale Tage Ingelheim showed a private collection of African art on public display for the first time. What had previously stood in the private rooms of an anonymous collector was made accessible to a wide audience for the first time in the exhibition rooms of the Altes Rathaus (Old Town Hall) in Ingelheim: 70 sculptures from the Dark Continent emanating from the artistically pre-eminent regions of Western and Central Africa. The impressive ancestral and magical figures in human form testify to the personal passion of an art collector and are at the same time a testimony to the high artistic power of expression of ”primitive“ art. The Hamburg collector, Dieter Scharf (1926-2001), grandson of the famous Impressionist collector from Berlin, Otto Gerstenberg, has over the past five decades built up an extensive and exquisite collection of European art Ò ranging from Goya, through Manet, Klee and Max Ernst, to Dubuffet. As he began to take an interest in African art, he was entering unknown territory and, as he himself said, experienced a process of seeing things afresh. From then on, he built up a collection which has steadily grown and which captivates by its undeniably high quality and is considered to be of special importance by international experts. The obvious ”modernity“ of one figure, its formal and aesthetic affinity with the European avantgarde, was the decisive factor behind the collector‘s decision to purchase it. At the same time, however, he was also aware that this aesthetic appeal is due to the spiritual process of a creator whose objective is the mastery of invisible forces: forces belonging to an alien, unfathomable cosmos – that of the living as well as the dead.